Going…going…gone. The sad vanishing act of sharks? There is a current debate raging among some impassioned circles about whether or not Great White Sharks should be placed on the endangered species list. Hallo Bruce! Fish are friends not food! “Has a large percentage of the species vital habitat been degraded or destroyed? How do we two coexist? How have puny humans become such a menace to the Great White Shark? So what’s the argument over great white sharks? Great White Sharks are apex predators, which as you know means that there are less of them. Think gazelles vs. lions. Sharks in general troll the oceans to eat the sick and injured animals and keep the ocean healthy and evolved. However, GWSs are elusive and mysterious. Not much is known about how far they travel and where they go and when and why. Scientists have some ideas about places they like, for instance, Central California, where they seem to group during certain times of the year. However, they don’t all show up at the same time, in the same place, every year, and even if they did they’re not all checking in on Foursquare or posting status updates on their Facebook. I’m just saying, it’s tricky to know who’s who and where. The group of scientists that is pushing to make GWS an ES (endangered species) “were reacting to the first — and only — census of great whites ever attempted. 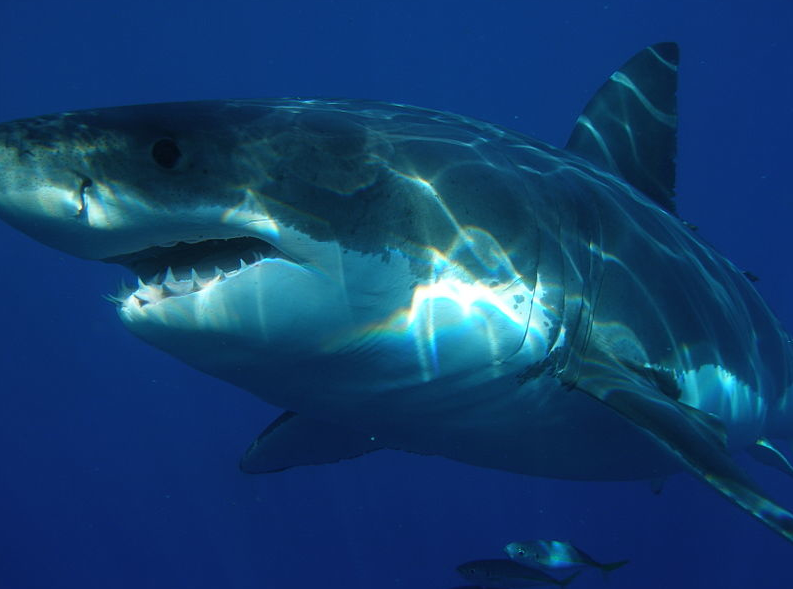 Conducted by UC Davis and Stanford University researchers and published in the journal Biology Letters in 2011, the census estimated that only 219 adult and sub-adult great whites lived off the Central California coast, and perhaps again that many in the entire northeastern Pacific Ocean, including Southern California.” (Los Angeles Times, “Are there too few Great White Sharks off California?” Louis Sahagun, May 25, 2013). Although this picture was taken in Mexico, this shark may have just come from California, Hawaii, or anywhere else this shark damn well pleases. 219 certainly sounds like a dangerously low number, considering how slowly Great White Sharks reproduce. To lose any one of those 219 would be a huge blow to the population. But not all scientists believe this number. Some think that the species has made a remarkable recovery since laws were put in place many years ago. Their numbers are wildly different. “George H. Burgess, curator of the Florida Museum of Natural History’s International Shark Attack File, is among nine scientists nearing completion on a separate census study that will show that there are more than 2,000 adult and sub-adult white sharks off Central California” (Sahagun). Since 1994, it’s been illegal to fish White Sharks in California, as sport fishing, or commercial. Their habitat has made recovery, as has their food source (pinnipeds, etc). 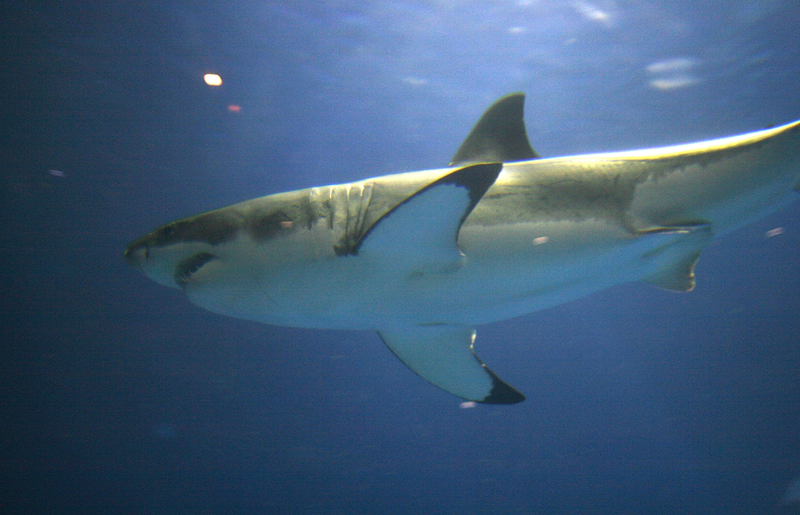 So how would becoming an endangered species change things for White Sharks? It’s already illegal to fish them here, but putting them on the list might bring an end to the gill net fishing industry, who often catches sharks (and every body really) in their nets as by product. So how little is too little? And who’s number is correct? When it comes to Sharks, I tend to err on the side of caution, namely because their range is global, and their health is vital to the ocean’s health. What do you think? Should California and the federal government list the Great White Shark as an endangered or threatened species? this post was kind of a bummer. 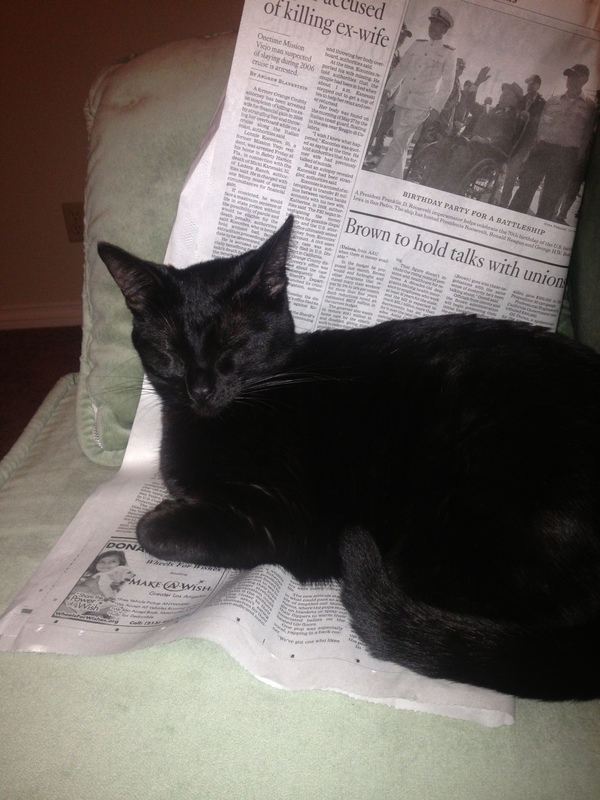 So here is a picture of Tiburon helping me write it. She is my research assistant. Why you shouldn’t touch the reef. Ever.